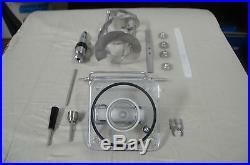 Used full set of Original Beater Door Assembly parts from Taylor model 432. 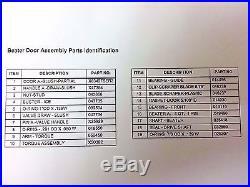 Refer to all individual parts (Item 1-19) that make up the assembly in schematic picture attached with listing. 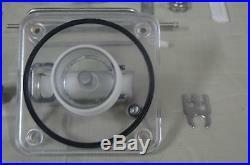 Note includes a Self - Closing/ Prime Plug that is within the Gasket Door circumference that is also compatible with Model 428 that is also included as part of the lot. Please refer to all pictures. Communication is key and at B & K we are all about that. We cannot complete a claim without proof of damage, etc. All equipment is guaranteed in stated working condition for 14 days from time you have received it. We are not responsible for missing screws, nuts, bolts, etc. All sales on used equipment are final. 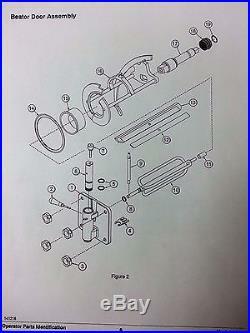 The item "Taylor Model 432 Beater Door Assembly Parts Complete Set" is in sale since Thursday, August 04, 2016. 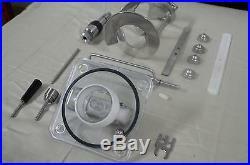 This item is in the category "Business & Industrial\Restaurant & Catering\Refrigeration & Ice Machines\Ice Cream Machines". 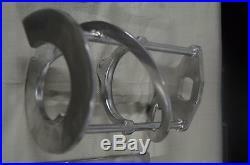 The seller is "bkesales2012" and is located in Fort Lauderdale, Florida. This item can be shipped to United States.